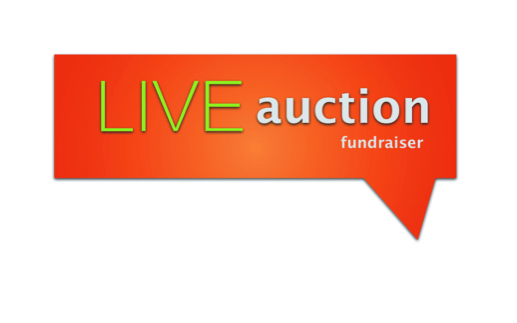 Live auctions are an entertaining and interactive way to increase donor participation and increase overall donations. The energy created by the live auction can carry the philanthropy to great heights. Live Auction success is reliant upon bidders bidding against each other pushing up the final sale price. The live auction is only successful when at least 2 or more bidders are actively engaged. Attract live auction bidders in the marketing of the auction event. Highlight the live auction items through the auction website, outbound emails, paper flyers and invites as well as at the actual event. Promote live auction items in advance to elevate interest level. A professional auctioneer is not necessary but choosing an auctioneer or emcee should be done with care. Consider the complexity of the auction items. Consider using a member of the charity group, a local radio or media personality. An emcee with a strong social presence and friendly personality help the donors engage. Many times looking within your group will mine a gem of emcee that already affiliated and personally invested. A professional auctioneer can bring fresh ideas and energy to the event. When searching for a professional, Stephen Kilbreath from Auctions & Events here are the 10 must-ask-questions to determine a good match. How experienced are you in non-profit or school fund-raising auctions? How many fund-raising auctions do you conduct each year? What percentage of your business is fund-raising auctions? How would you describe your bid-calling technique? What was one of the toughest situations you have encountered as an auctioneer – and how was it resolved? How do you interact with the crowd? What is your Raise The Paddle / Fund-An-Item / Special Appeal strategy? Other than night-of auctioneering, what other services do you provide? Tell us why your style would be a good fit for our organization. Do you have the BAS (Benefit Auctioneer Specialist) professional designation? Bonus Tip for interviewing a live auctioneer: You may also want to give them some information about a situation that occurred at your event and see how the potential auctioneer would have handled it differently. Select live auction items with a variety of price points. Begin with lower value items to engage more bidders. Choose auction items that are NOT a commodity type item instead select one-of-a-kind or unique experience items that have a broad audience interest. Determine in advance with the auctioneer the pace of the patter considering the environment to match the tone of the live auction. If the Live auction is taking place leisurely over part of a meal or dessert in a social setting the pace may be slower and take 5-6 minutes per item. If the the Live auction is going to be fast paced with large increment a quick patter from the auctioneer then 2-5 minutes per item would be adequate. Allot 45-60 minutes worth of live auction goods, approximately 10 live auction items will suffice. Live auction should be fun, hype the live auction throughout the entire leading up the live auction finale, don't use high pressure sales tactics. The FUN part of the live auction is the back and forth of the bidders. Opening bid should be the lowest value that the charity is willing to accept. Unique goods and services or those that have a high value can be speculative. Start too high get and risk no bids, start too low and close at an undervalued price. Live auction permits impromptu modifications. If the starting bid gets no activity the auctioneer can immediately lower the starting bid and adjust accordingly. As an adjunct to the traditional Live auction Raise the Paddle in multiple forms may be an optional add on to the event. Raise the Paddle can also be used for a Special-Purchase where multiple sales of the same item can take place. A school for instance can ‘sell’ no uniform day for $50 and ALL the bidders that raise their paddle ‘win’. Auctria program can manage the FOR SALE items. Simply load and sell before and during the event. Sometimes called Paddle Call, Fund-a-Need for large priced item or need introduce a specific need to fund, include a speaker that can tell the story and pull the heart-strings and how funding will help. Start at a high dollar value (depending on the audience this can be $1000 or $100 if a paddle, one or two paddles will raise (RECORD the bid). Auctioneer the lowers the amount incrementally and each time more paddles go up, (record the bid). The goal is to continually lower the bid almost every paddles is raised and everyone has had a chance to donate at a level they feel comfortable with. In lieu of physically raising the paddle the For Sale item can be purchased directly with a auction representative. Offering donation cards is an alternative for the shy bidder to participate in the raise the paddle without intimidation. ##Auctria streamlines the Live auction work After each live auction item closes record the winning bidder number and the continue the closeout process. Auctria is fully integrated with credit card processing so batch closeout is swift and efficient. A spotter is the operations behind the live auction. As soon as the auctioneer calls “sold to the highest bidder and bidder #” the spotter will record this information. The spotter should be prepared to touch base with the bidder providing instructions for payment and collection of auction items. Spotter provided final bid information to the auction administrator for final bid recording and collections.